A photo-taking game you play with friends. 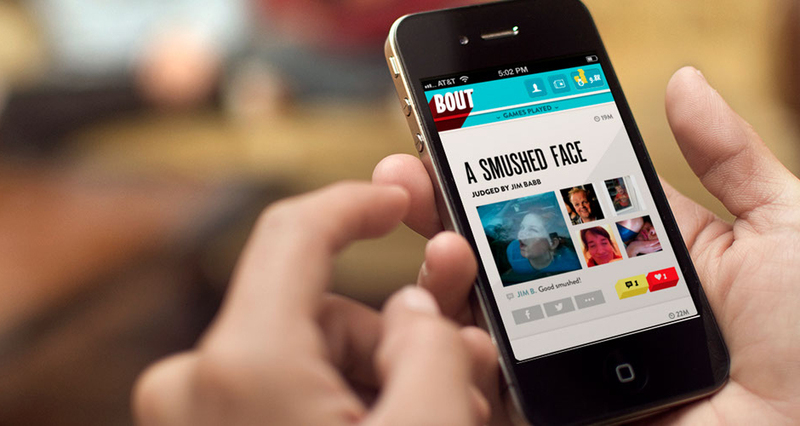 A social photo-taking game, Bout pits players’ photography skills and cleverness against their friends’ for the chance to win in-game coins and earn bragging rights. With two ways to play—as a competitor or a judge—players race to submit the most creative pictures in response to Bout prompts, resulting in an endless stream of amazing, funny photos. Julie and Jim Babb are the co-founders of Awkward Hug, a non-traditional game development studio that creates fun in the awkward space between the digital and real world. The collaborative partners with people and organizations to bring remarkable games and playful experience to life. Awkward Hug’s award-winning games have earned the company a reputation for creating innovative, cross-platform and ridiculously fun games. For more information, visit www.awkwardhug.com, and follow Awkward Hug on Twitter @Awkward_Hug.